High blood pressure is one of the most common conditions prevailing around the world; thanks to our fast paced lives, stress and anxiety and a junk diet that cause such health hazards. High blood pressure is one of the most common conditions prevailing around the world; thanks to our fast paced lives, stress and anxiety and a junk diet that cause such health hazards. According to Blood Pressure UK, high blood pressure causes 60 percent of all strokes. Poor diet and excess salt intake is leading to an increase in the number of people aged in their 30s to 50s developing high blood pressure. Many people are unaware they may be at a risk of hypertension, hence they don’t get themselves checked. 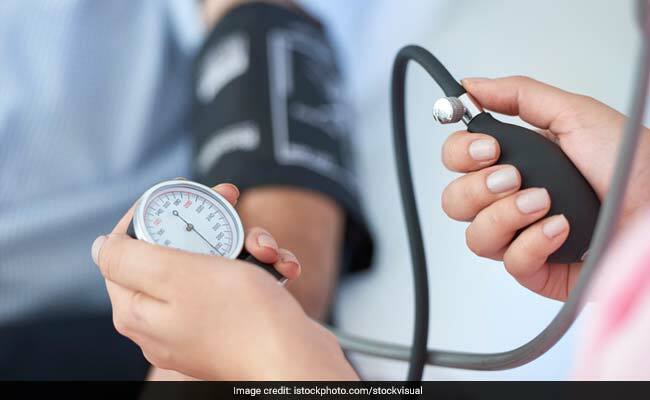 High blood pressure barely has any symptoms, which is probably why it is left undiagnosed or is diagnosed in later stages when it is difficult to reverse the condition. Apart from being physically active to reduce blood pressure, it is also necessary to control your diet and eat healthy. Ayurveda suggests some herbs that will help lower your blood pressure. Boerhavia diffusa or punarnava is a species of flowering plant that has several medicinal properties. Make a mix of punarnava, passion flower and hawthorn berry. Add them in a cup of hot water and strain them after five to ten minutes. Drink the concoction after lunch and dinner. Ashwagandha is an adaptogenic herb, which not only lowers your blood pressure but also reduces inflammation and stress. You can drink ashwagandha tea after lunch and dinner. Gotu Kola is a herb that promotes circulation and relieves tension and anxiety in the arteries and blood vessels, further regulating blood pressure levels. You can drink a concoction made of gotu kola and ashwagandha to make it more effective. Tulsi leaves or holy basil is known to be an effective treatment for high blood pressure. According to the journal Studies of Ethno-Medicine, combination of neem and tulsi was beneficial to lower the blood pressure levels due to their active compounds. Hawthorn berries are rich in flavonoids that include quercetin and oligomeric procyandins that boost heart health. They reduce the risk of hypertension by reducing arterial blood pressure, also boosting blood circulation.